Sahara II is long out of print though available used. For vehicle prep the latest AMH and OLH books are far more useful. For camelling, see this. Since the original 1999 edition of Sahara Overland, author Chris Scott returned to the desert, exploring eight countries while both leading his own tours, joining other tours or filming his adventures. The dvd Desert Driving II was released in 2005 and Desert Riders has been featured on National Geographic Channel. Check out the online reviews on amazon and all the rest. 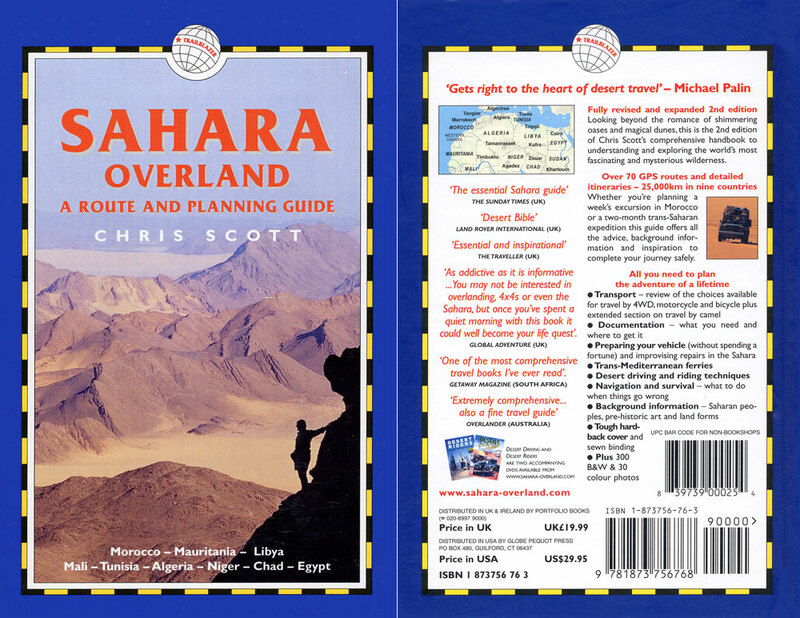 The hardback edition of Sahara Overland became the ultimate desert travellers’ handbook and reference resource on the Sahara.